If you’re in the market for a new head unit, Blaupunkt’s festive-season offers might catch your fancy. Applicable from October 10 onwards, Blaupunkt’s updated price reduction is valid on five of its head units. And how big a discount, you must wonder. While the full list is mentioned at the end of the article, the MRP sees a drop of 15 per cent onwards, depending on the model. The least expensive San Marino 330 now retails at Rs 10,990 (from Rs 14,990), and gets a 6.2-inch display and the ability to connect to steering-mounted controls. The more-advanced FLAC-ready Las Palmas 550, with better connectivity like Bluetooth and Phone Link (Android only), and the ability to play DVDs is priced at Rs 14,990 (from Rs 20,790). The Palm Beach 500 which adds touchscreen functionality to the aforementioned features of the Las Palmas is now available at Rs 24,990 (from Rs 28,490). The Toyota-specific Santa Fe 530 is available at Rs 24,990 (from Rs 28,490). 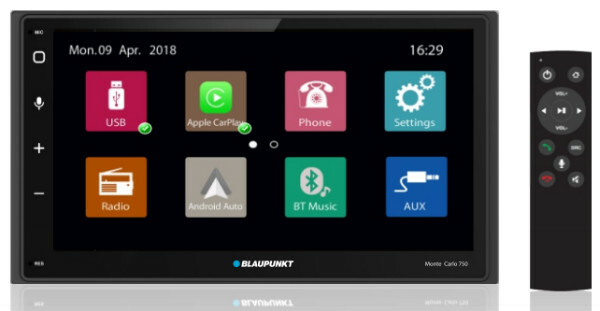 But the deal of the festive season (as far as Blaupunkt is concerned) has to be the Blaupunkt Monte Carlo 750. The 6.75-inch, touchscreen-enabled system comes with Apple CarPlay and Android Auto. Originally priced at Rs 29,990, it’s now available at Rs 16,490.